OLD PARKED CARS. 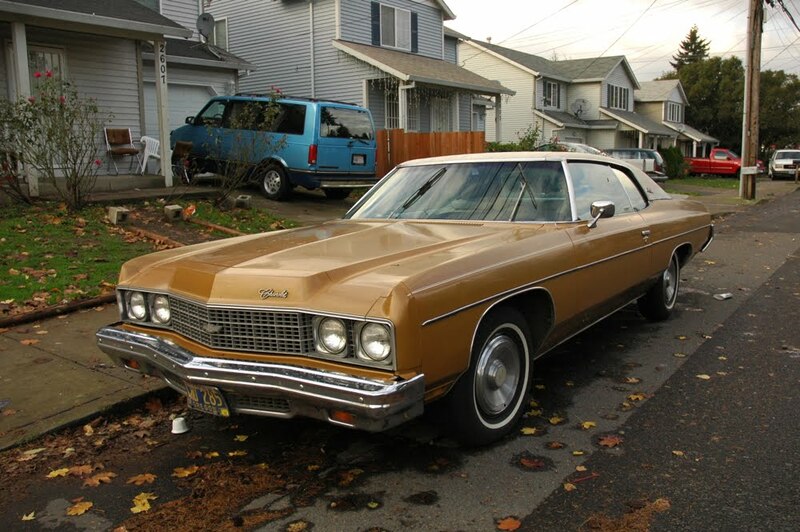 : 1973 Chevrolet Impala Custom. 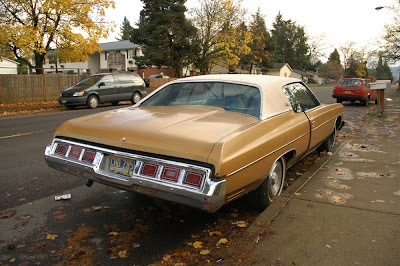 My gramps had a '73 Caprice. This is sweet, love how perfectly the hubs compliment the paint job. I drove one of these for a little while in the mid 80's. Pretty fun out on the open road. whitewalls and hubcaps are a good fit, and white vinyl top complements the butterscotch paint nicely. but that doesn't mean it's a car i'd want to be seen in. The '73 Impala (and Caprice) helped usher in GM's dark days. Bumpers could be excused because of new standards but there was no defense for the body side molding that was oblivious to the lines of the car. Only thing worse was the '74-'76 Chevrolets. It's hard to believe they were all descendants of the '71 which was a nicely styled car all around. 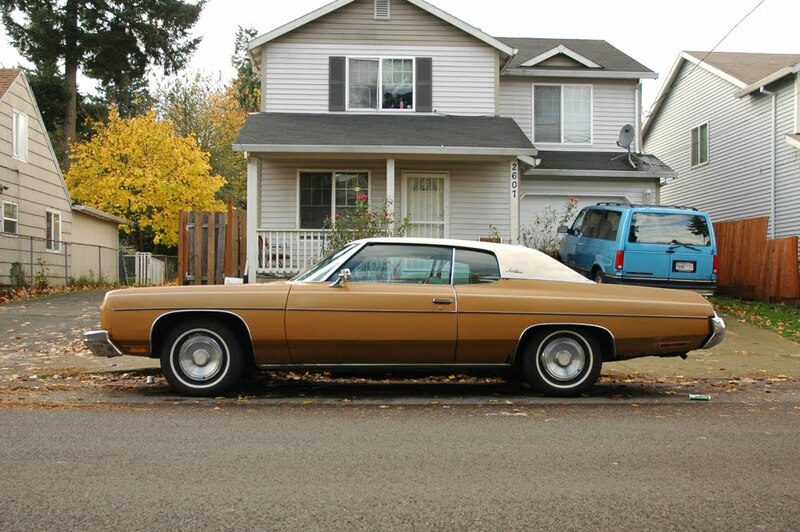 The '73 models "ushered in GM's dark days"? etc. etc. etc. Why can't people keep quiet if they have nothing constructive to say? Don't they realize others really like some of these cars? Ugh! I've collected hubcaps since I was a kid & the '73 Impala wheelcover is one of my favorite designs...really simple but very 70's and as previously mentioned, they compliment the lines of the car while being super easy to clean...no scrubbing brake dust off aluminum wheel crevices..
My father bought a brown '72 Impala sedan years ago for $500 & I loved that car. For a lower end full-sized car, it rode incredibly smooth, was quiet, reliable, and very comfortable. Not wanting to be seen in a car like this reflects a personal problem of some sort, not an automotive one.